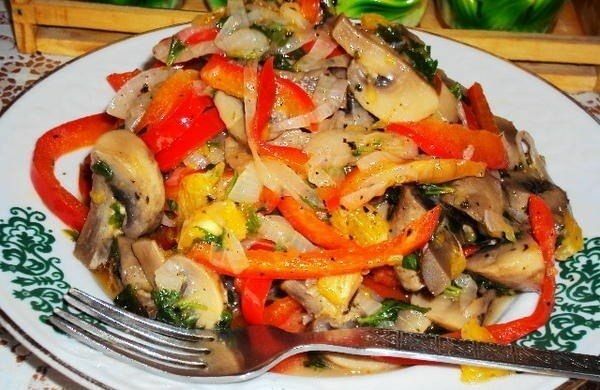 Large fresh mushrooms — 10 PCs. Sour cream — 4 tbsp. 1. Rinse and dry the mushrooms, sharp knife cut and remove the legs. Cover the baking dish with parchment paper, and put on caps with the holes up. 2. Finely chop the chicken. Heat pan with 1 tablespoon of vegetable oil over medium heat, add the chopped chicken, fry for about 5 minutes, stirring from time to time. 3. While the chicken is roasting, finely chop the mushroom stems. Add sliced mushrooms to pan with chicken and cook for another 5 minutes, stirring occasionally. 4. 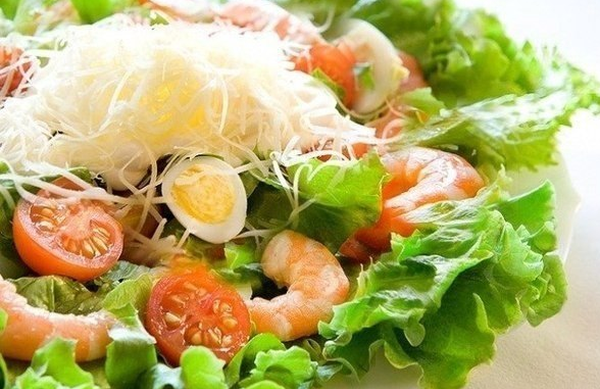 Mix flour with sour cream. Reduce heat and pour the sour cream into the pan. Season with salt, milled black pepper and stir. Continue frying for 8-10 minutes until the mixture thickens, then remove from heat to cool. 5. While the mixture is cooling, preheat the oven to 180 ° C.
6. 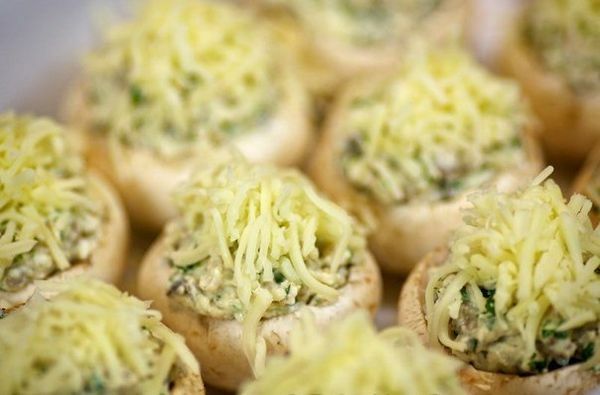 Grate the cheese on a grater and mix with chicken and mushrooms. Add chopped parsley and stir. 7. Using 2 tablespoons, spread evenly between the prepared stuffing caps of mushrooms. On top of the filling sprinkle some grated mozzarella. 8. 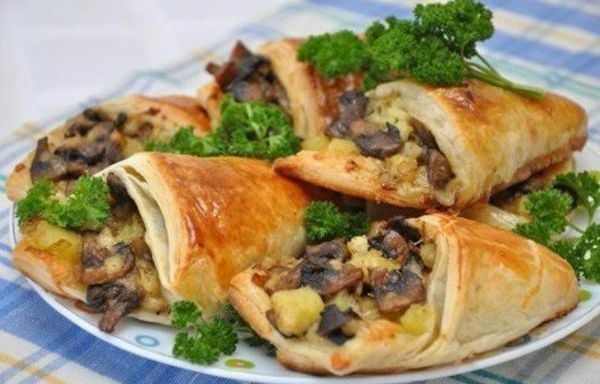 Bake in the oven for 15-20 minutes, then allow the mushrooms to cool slightly and serve.